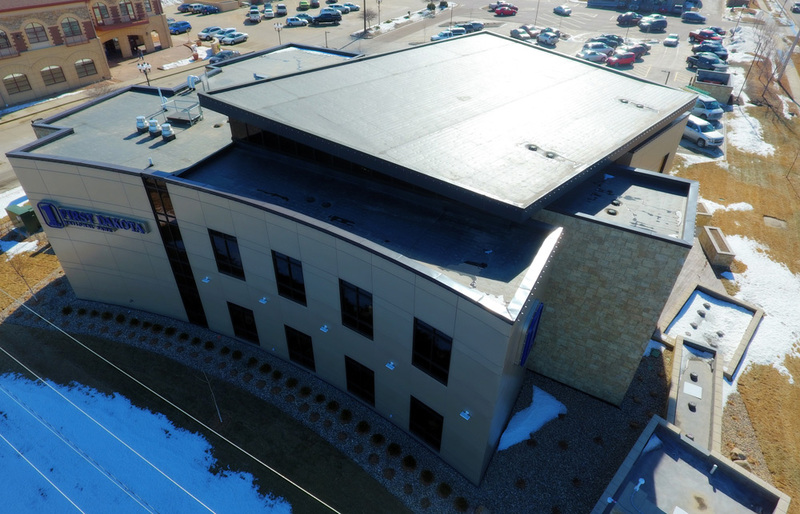 Roofing systems available for commercial properties has evolved over time to address the hazards that effect durability, reliability and weather. Today’s building owners have more choices in roofing systems than ever before. At Guaranteed Roofing & Sheet Metal, we have the expertise to help you choose the one that best meets your needs. Metal roofing has come a long way and can be a cost-effective and viable choice for new and replacement roofing. When choosing metal roofing, it’s important to choose the right products and applications that best suit your building and the environmental concerns in your climate. 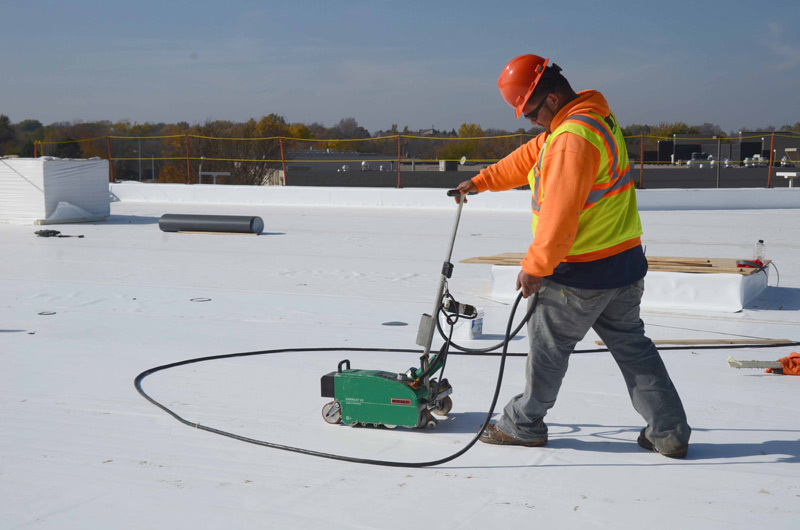 Each system has its advantages, and appropriate underlayment and coatings can help to prevent leaks and corrosion, increase energy efficiency, and contribute to the life of the roof. We also install sheet metal wall panels and siding for commercial buildings. EPDM is an extremely durable synthetic rubber roofing membrane (ethylene propylene diene terpolymer) widely used in low-slope buildings worldwide. This material is a popular roofing system in the region due to its proven performance in extreme temperatures, built-in UV protection and flexibility. It is also easily repaired and restored. EPDM not only looks good, but it’s environmentally friendly because its impervious surface does not pollute rainwater or melting snow runoff. It is also fire resistant, recyclable, economical, and earns building owners LEED points. Thermoplastic Polyolefin (TPO) is a single-ply reflective roofing membrane made from polyprophylene and ethylene-propylene rubber polymerized together. This type of roofing system has gained popularity for commercial use due to its many performance and installation advantages. 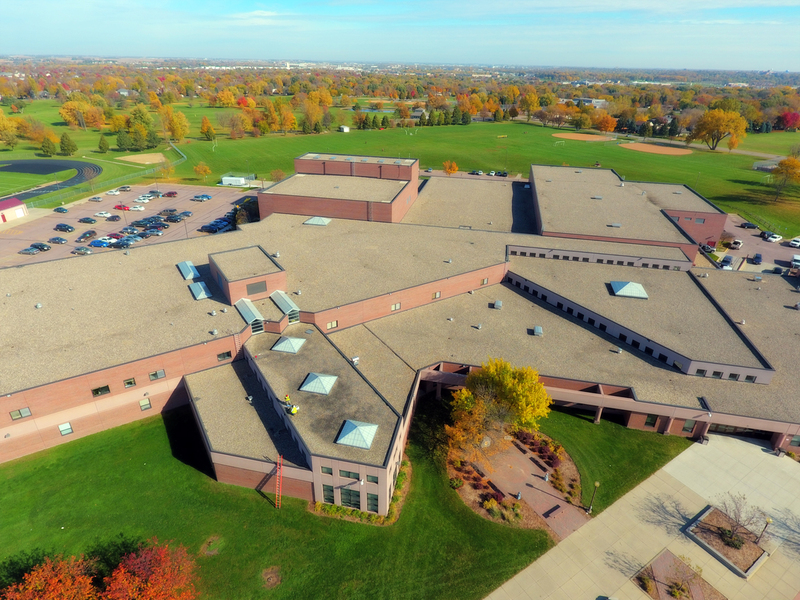 TPO single-ply roofing systems have proven to be energy efficient and provide exceptional resistance to chemicals, ozone and ultraviolet heat and light. With a variety of products to choose from and installation options, TPO roofing is a great choice for energy and cost efficiency. A single ply flat roofing solution, PVC (polyvinyl chloride) has been used on flat or low-sloped roofs since the 1960s. PVC can be made to fit nearly any flat roof shape and size, comes in a variety of colors and thicknesses, and is made of flexible, UV-resistant thermoplastic material. Other chemicals, pigments and resins may be added to change the properties of the PVC, based on concerns specific to a particular application. Known for superior durability and performance, a PVC roof is resistant to dampness and many hazardous environmental conditions. When considering asphalt roofing systems, there are two popular choices – Modified Bitumen (Mod Bit) and Built-up Roofing (BUR). 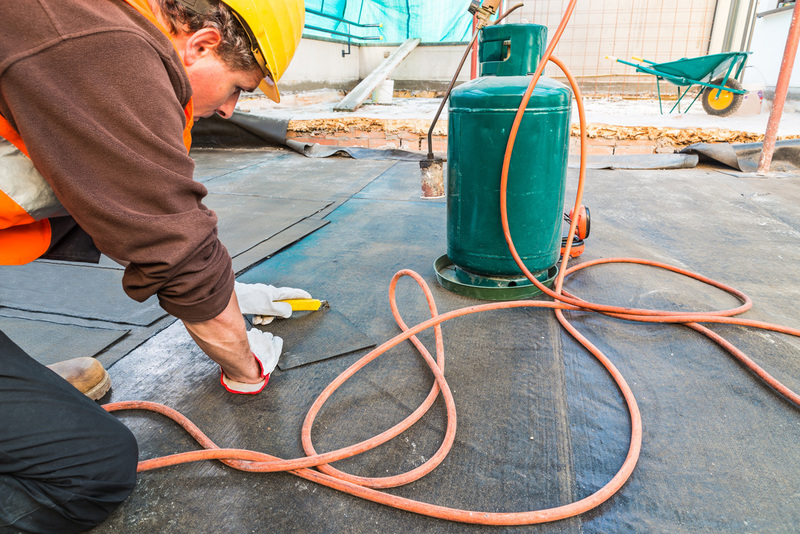 BUR systems are composed of alternating layers of bitumen and reinforcing fabrics that create a finished membrane and are commonly referred to as “tar and gravel” roofs. BUR roofing goes back more than 100 years, due in part to its proven reliability offering multilayer protection, resistance to heat conduction and uplift resistance under extreme wind conditions. This is a high-performance option with a competitive cost and strong reliability track record. Mod Bit roofing systems is a hybrid system that became popular in the 1970s and consists of sheets modified with polymers to improve performance. During application, various protective and reflective coatings can be applied to extend their lifecycle and improve energy costs. LiveRoof is an environmentally sound roof that works well on low-sloped (non-pitched) roofs, on industrial, commercial, institutional, governmental and residential buildings. 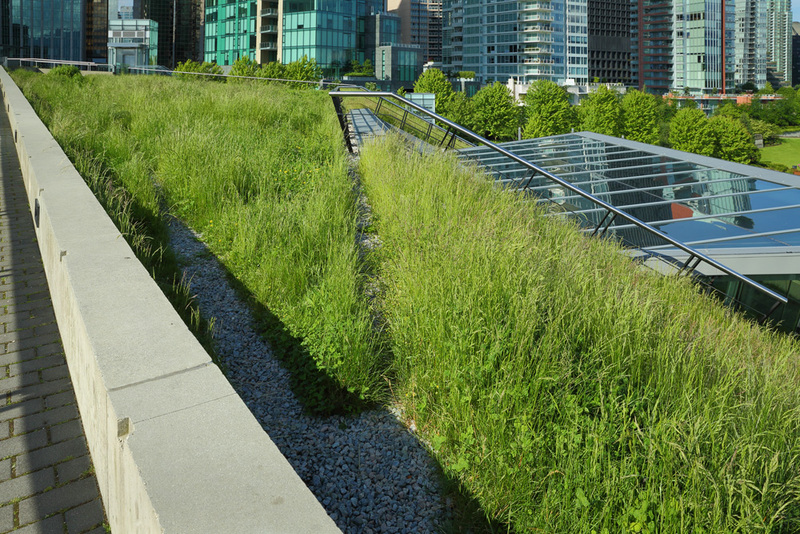 This living roof is ideal for building owners that value the many economic, environmental, and health benefits that come from vegetated roofs. Conventional commercial roof systems absorb heat from the sun. The absorbed heat enters the building and causes the air conditioning to run more frequently and use more energy. By using energy efficient materials and the correct installation method, you can save energy that translates to hundreds to thousands of dollars each year with LiveRoof Systems. Green roofs have been proven to provide significant energy savings and extend the life of the roof between 100 and 200 percent by protecting the rooftop from UV rays, large temperature fluctuations, high wind speed and punctures. Designed by a team of engineers, horticulturalists and roofing professionals, a LiveRoof system must be installed by experts and maintained regularly for optimal results.